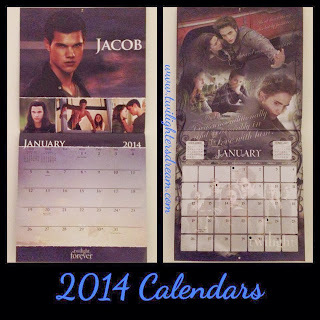 A new year always means a new calendar!!! 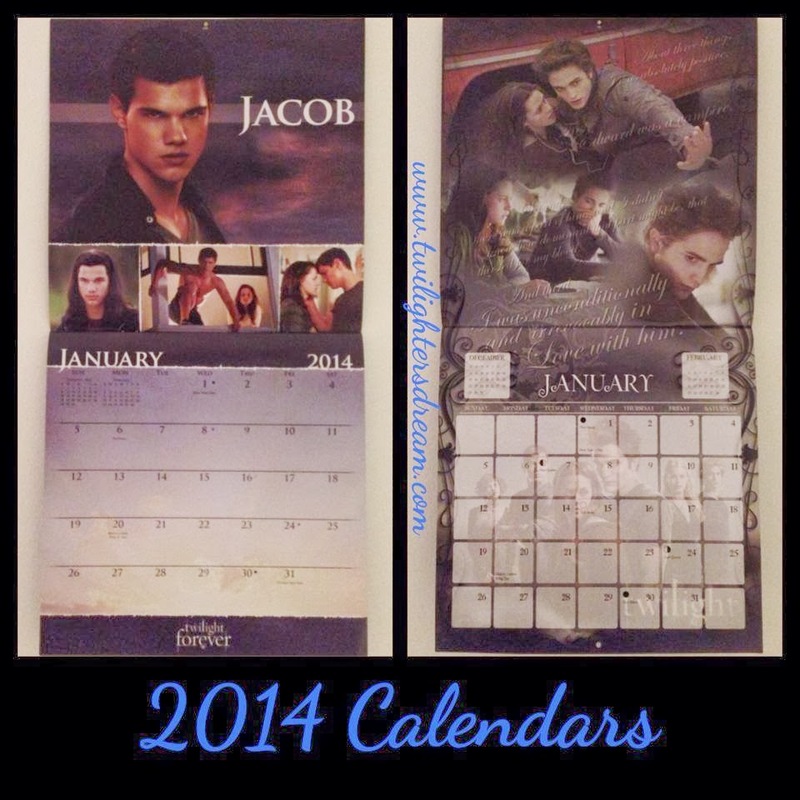 Have you gotten your 2014 Twilight calendars yet? I did!! I have 2!! Below are the details how which calendars are available and where you can order. The one pictured above on the RIGHT is from NECA. 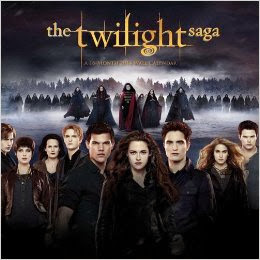 This one is my FAVORITE!!! 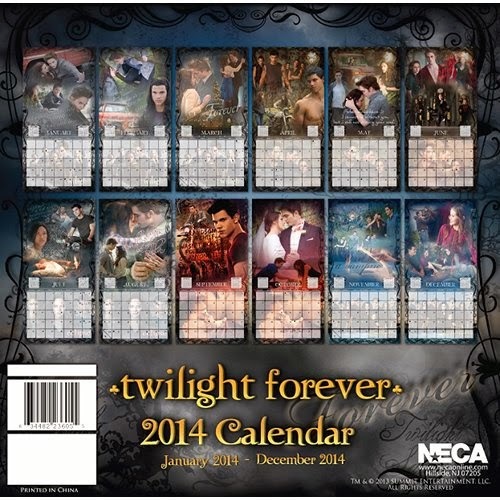 It's a beautiful calendar! This one you can order from Amazon. The quantities were limited the last I checked so order soon. 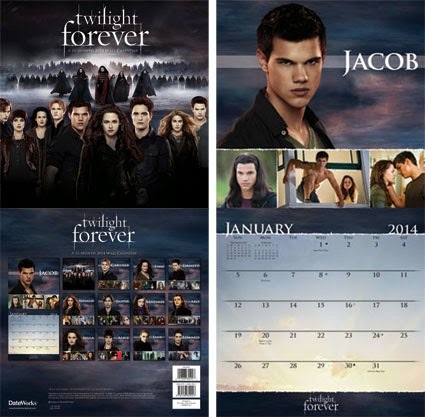 The second calendar pictured above on the LEFT is from Dateworks (Trend International). 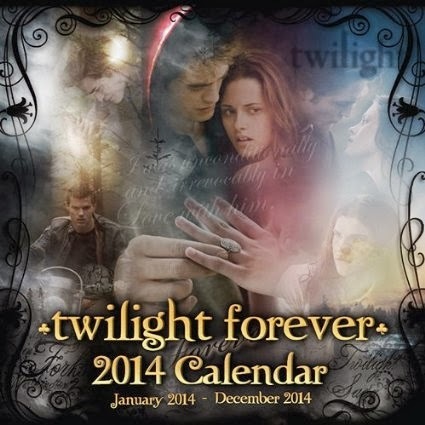 This calendar has two different covers. I have only found one of the covers available to order online. You can order this calendar from Calendars.com for $14.99. If you use the promo code NEWYEAR2014 you can save 15% off. 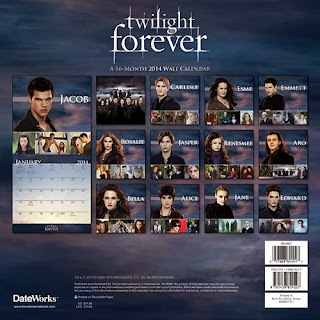 The cover that I have says "Twilight Forever" on it but the pictures featured each month are the same as the one above. I ordered this online MONTHS ago from Amazon but there was only one left when I looked today. It might already be gone by the time you read this.